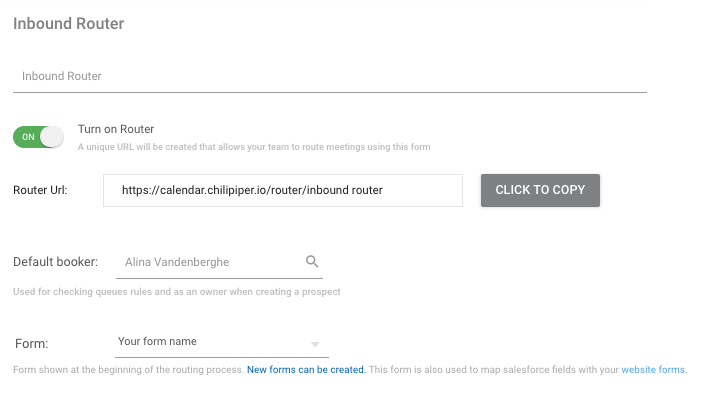 You can route your inbound traffic from your website forms to the correct team or individual calendar based on the queues you setup. As a reminder you can do a combination of any of these rules: assign to owner if an owner already exists, round robin to a specific team depending on form values, direct to a specific colleague’s calendar based on different form values. You can find them in your form creator or by “Inspecting” them in Chrome directly (Right-click on a page element and select Inspect). You can do the fields mapping in Chili Piper. 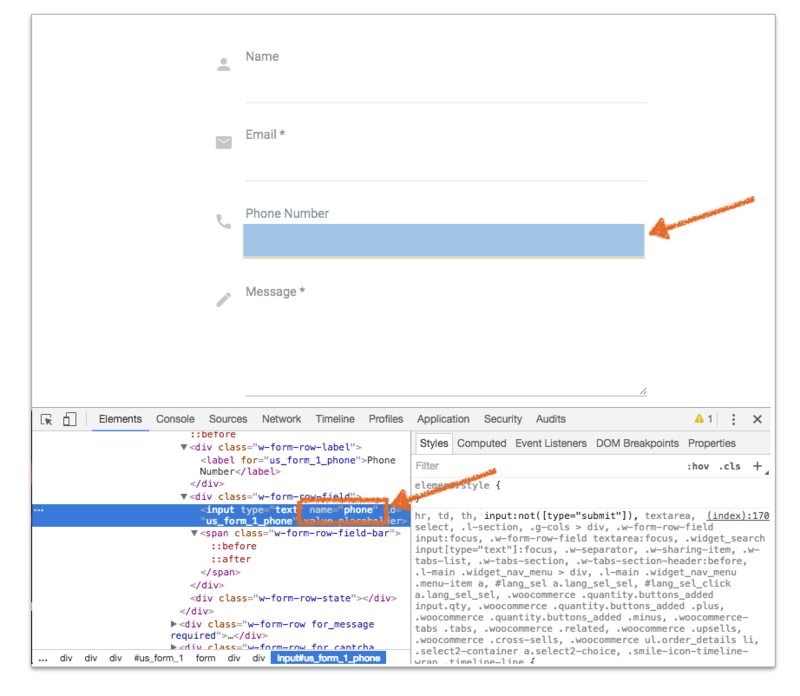 Create a new form under your forms menu option with the same fields as your form, match them with Salesforce fields. 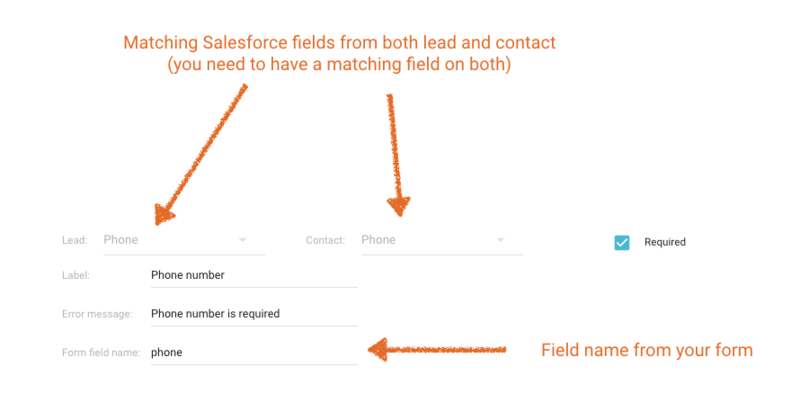 Your field type in Salesforce MUST match the field type in your form. Both “your-organization-name” and “your-router-name” are parameters specific to your configurations. After you identified your URL, give it to your development team and ask them to post the form to it.